So long as we live under a system that puts profit before people, we will need to struggle to secure the resources required to support people living with impairments to access the same rights and opportunities as those without. That struggle will take different forms at different times depending upon the attacks we find ourselves facing and the reforms we judge most urgently needed under particular circumstances. Throughout, it is important that we do not lose sight of the bigger picture that we are fighting for, of a society where each person is valued for their diverse, individual worth rather than ability to labour and produce profit, and where each person is able to truly fulfil their diverse, individual potential. As desperate as times currently are, we are sadly a long way off from achieving a society founded upon principles of fairness and social justice. Nevertheless, the demands that we make and reforms we lobby for must be consistent with that wider vision. The way that the personalisation agenda, sold to local authorities on the basis that it would produce cost savings and tied to the marketisation of social care, has effectively undermined Disabled people’s rights and freedoms is a prime example of the dangers of focusing on reforms in isolation from wider social principles. It is therefore important that Disabled campaigners continuously review our vision and our demands. Grassroots campaigning since 2010 has been tied heavily to the right to independent living and being in the community set out in Article 19 of the UN Convention on the Rights of Disabled People (UNCRPD). Measures imposed through austerity and devastating cuts in social care are having serious adverse impacts that directly affect Disabled people’s rights and freedoms in exactly those areas set out in Article 19. Instead of closing Assessment and Treatment Units and moving people with learning difficulties and autism back to their communities, it has become more common for Disabled people to be sent many miles from their homes, families and friends due to a chronic lack of local provision. Local authorities and Clinical Commissioning Groups are introducing maximum expenditure policies which threaten to force Disabled people into residential care against their wishes. The General Comment on Article 19 published by the UN disability committee in 2017 made clear that institutionalisation of Disabled people can also occur in people’s own homes, when their basic needs are neglected they are denied the support they need to leave the house, participate in the community. The rights to independent living and being included in the community set out in Article 19 provide a clear guide to the rights that Disabled people should be able to enjoy and a measurement framework for regression. The language of independent living has been appropriated by Government and public bodies to justify the cuts they are making. Policy documents at national, regional and local government levels repeatedly refer to “helping people to stay independent for as long as possible”, often while simultaneously claiming to be in accordance with Article 19 and yet demonstrating a clear failure to comprehend a right to independent living based on Disabled people’s ability to exercise choice and control over our everyday lives and to access the same chances in life as non-disabled people on an equal footing. It is common practice for essential support to be removed from Disabled people through social care assessments under the justification of “helping” them to “improve their independence”. Article 19 rights have thus been co-opted and subverted in order to facilitate the retrogression of Disabled people’s rights. The UN CRPD is a tool that Disabled people have used to draw attention to the suffering and distress directly caused by government legislative and policy measures where we have felt listened to and our experiences validated. That gives it an immediate relevance to Disabled people’s day to day lives. Disabled campaigners are proud of the independent living movement and all that it achieved. At a time when daily living conditions are deteriorating and the odds against us seem overwhelming, it is enormously important to be able to draw on a source of pride that sits at the core of our shared identity. It keeps us going, reminding us how powerful we can be and what we can achieve when we collectivise and are determined. The right to independent living as set out in Article 19 gives us a clear and relatively uncontroversial goal to focus on. There has been recent debate about whether it is useful to still use the language of independent living. We would argue that it is. With certain audiences we are seeking to influence it may be expedient to tailor language in order to be better understood and to convey our messages more effectively, for example referring to cuts to “social care” rather than “independent living support services”. Those are decisions that can be made according to particular circumstances. But to stop talking about independent living and to shift our focus away from achieving a right to independent living would be a strategic mistake. It would rob Disabled people of one of the few things we have left to hold on to. If new campaigners come into the movement who are only aware of the appropriation of the language of independent living rather than the proud history of the independent living movement, then it is our job to share our history and learning. We must also remember that the politics of the independent living movement, based as it is on collectivisation and grassroots struggle, will not appeal to all. There are Disabled people and other lobbyists who would rather find compromises acceptable to a status quo that perpetuates inequality and oppression than to fight for the fundamental reshaping of society. This can be for a multitude of reasons ranging from an absence of hope that real change is possible to a vested interest in maintaining the status quo. Where those political differences exist, there will be times when we find common goals on which we can campaign together in the pursuit of reforms to mitigate and alleviate the worst harms, but we must understand them as differences and reflect on our own position within the context of our wider principles and values. Below we set out our demands for a national independent living service capable of upholding Disabled people’s Article 19 rights and what will need to be in place to achieve it. 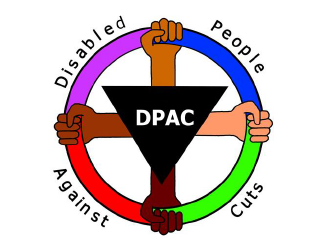 It has been developed through ongoing debate and discussion within the Independent Living Campaign, set up in 2011 response to the then planned closure of the Independent Living Fund (ILF) and most recently through the 2017 National Independent Living Campaign Conference funded by Disabled People Against Cuts (DPAC) and co-organised by DPAC, Inclusion London and Equal Lives as part of the Reclaiming Our Future Alliance. Under the term “Disabled people” we refer to people living with physical impairments, mobility impairments, sensory impairments, mental health support needs, learning difficulties/disabilities, people who are neuro-diverse and people with long term health conditions. 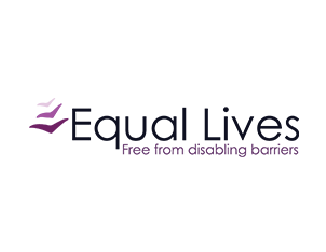 the availability of community services and facilities for the general population to Disabled people on an equal basis and are responsive to their needs. A new universal right to independent living, enshrined in law and delivered through a new national independent living service co-created with disabled people, funded through general taxation, managed by central government, led by disabled people, and delivered locally. The UN CRPD is not enshrined in UK law and recent case law has weakened its application in interpreting domestic legislation, for example the judgment in Davey vs Oxfordshire states that “great care” must be taken when X. The inadequacy of the Care Act 2014 to uphold the rights of Disabled people has been proven in practice. Disabled people’s concerns that the “well-being duty” implemented through the Care Act would be offer insufficient protection against retrogression of our rights were ignored in the development of the legislation. Our petitioning for a right to independent living as outlined by Article 19 of the UN CRPD to be placed on the statute through the Care Act was dismissed and although the statutory guidance refers to Article 19 (para 1.19), this does not have the legal weighting needed to be effective. We call for new freestanding legislation to implement an independent living bill of rights. This would be in accordance with the UN disability committee’s General Comment on Article 19 and cover rights to support enabling Disabled people to access the same life chances as non-Disabled people in all areas covered by the twelve pillars of independent living. Disabled people’s rights under the new legislation will need to be communicated in accessible ways with an appeals process and legal support made available for Disabled people who consider their rights to have been breached. This legislation should apply to all Disabled people who are resident in the UK regardless of citizenship or asylum status. The social care element of Disabled people’s right to independent living will be administered through a new national independent living service managed by central government, led by disabled people, but delivered locally. It will be for need not profit and will not be means tested. It will be independent of, but sit alongside, the NHS and will be funded from direct taxation. It will build on and learn the lessons from the Independent Living Fund, closed by the coalition government in 2015 and the failures of the local authority care and support system. It will also learn from the experiences of user-led disabled people’s organisations (DPOs), user-led social enterprises and co-ops which have innovated and developed exciting models of self-organised and self-directed care through personal budgets and peer support. It will work with non-disabled allies who share the critique of the existing system and who work to the social models of disability and distress. The national independent living service will be responsible for carrying out assessments and reviews and administering payments to individual Disabled people. Individuals will not be obliged to manage their support payments themselves if they choose not to. Alongside establishment of the national independent living service will be investment in local service provision so that within each area Disabled people will be able to choose from a range of peer support options delivered by user-led disabled people’s organisations, co-operatives and social enterprises, supporting them to exercise choice and control over the support they receive and to manage their financial, administrative and employment responsibilities. Local Disabled people to be meaningfully involved in investment and commissioning decisions as well as monitoring how well provision is meeting need. The national independent living service will be located in a cross-government body which can oversee implementation plans in all areas covered by the twelve pillars of independent living, whether it be in transport, education, housing, or social security. This will ensure that independent living is mainstreamed in every area of activity, not just ghettoised in DWP as the Office for Disability Issues is at the moment. The national independent living support service will be co-created with Disabled people through an independent living task force led by Disabled people and representatives of adult social care service users. Social care should not be funded through set precepts or levies as evidenced by the difficulties encountered in Australia with their National Disability Insurance Scheme. The NDIS was financed by an increase in the Medicare levy in June 2014 from 1.5 per cent to 2.0 per cent of taxable income. This has proved to provide insufficient funding will does not support a further increase on their taxes to fund disability support. Funding through general taxation allows greater flexibility to respond to changing levels of need and avoids stigmatisation of the recipients. The national independent living support service will build on lessons learned from the Independent Living Fund in being independent of Local Authorities. This will eliminate the current postcode lottery which has increased since closure of the ILF and enable greater transparency and accountability to Disabled people. The governance of the national independent living support service will ensure that Disabled people are involved and have a say at all levels of decision-making. Alongside the establishment of a national independent living support service, there will be investment in the development of Disabled People’s Organisations, co-operatives and social enterprises delivering local services in response to need and ensuring a range of options are available to support Disabled people to live in the community and exercise choice and control over the support they receive. User led organisations will also be resourced to provide support in other areas of Disabled people’s lives linked to equal participation in society including Access to Work, access to social security payments, housing and therapeutic interventions and support. The national independent living support service will be co-created with Disabled people. However, the features below reflect ideas that would improve upon the current system in response to barriers experienced by adult social care service users. This must be extended beyond the current National Eligibility Standard of substantial or critical needs and ensure that people with all impairments that have a significant impact on the ability to live independently and be included in the community are able to apply for support, for example people with mental health support needs and learning difficulties. We are calling for eligibility criteria based on a social model of disability. Assessments to be proportionate, without compromising the dignity of the Disabled person or being overly intrusive, and to be designed and carried out with the aim of genuinely assessing need rather than looking for ways to make cuts. 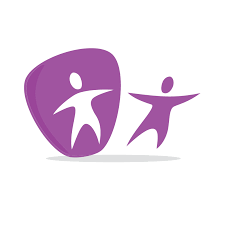 Assessments to consider all areas of a person’s life including the ability to socialise and participate in the community on an equal footing with non-Disabled people, also to take part in education, volunteering and employment, and not focus solely on personal care. Assessments and assessment reports to be respectful of the individual Disabled person and their wishes even when they disagree with the assessor’s recommendations. Disabled people’s wishes and views on how their needs can best be met not to be over-ruled by a desire to cut costs, for example replacing support with technology and aids and adaptations in order to save money while reducing the Disabled person’s quality of life. There will be no limit on how much support can be funded to support an individual to live and participate in the community. Disabled people will not be charged for the support they receive through the national independent living support service. Investment in local user led services responding to local need and informed by the views of local Disabled people will ensure a range of support options are available. A choice of payroll services and services to support with the management and administration of payments from the National Independent Living Support Service. A range of therapeutic provisions. Independent living aids and adaptations. Monitoring must be proportionate, and be closer to the monitoring systems that were employed by the ILF than the burdensome and intrusive monitoring mechanisms used by local authorities. The National Independent Living Support Service must also be efficient and timely in its processing of monitoring information, again by contrast to common practice within local authorities. Reviews should take place not more frequently than once every 2 years unless circumstances change. There must be a transparent and accessible complaints and appeals system for Disabled people who are dissatisfied with the service they receive or decisions made by the National Independent Living Support Service. Removal of the Office for Disability Issues from the Department for Work and Pensions, to be placed instead within the Cabinet Office. Formation of an independent living taskforce led by Disabled people and representative of adult social care users. Funding for research to make a clear business case for investment in independent living support, evidencing how social care is a social and economic generator as well as how much could be saved through savings to NHS budgets. Findings from the research to inform a review of social care eligibility criteria and make the case for expansion of the current National Eligibility Standard to include Disabled people judged as having lower support needs. Communications strategy for raising awareness about what we mean by independent living, disabled people’s human rights and the role of Personal Assistants. Strategy for investment in local user led provision alongside closure of institutionalised, segregated settings including long stay hospitals and Assessment and Treatment Units. Fund research making a business case for investment in Access to Work and evidencing the level of return on investment to the treasury for every pound spent on AtW. 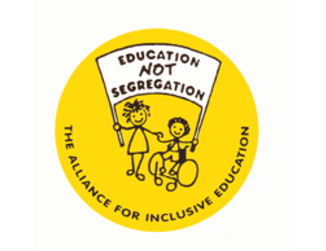 Legislate for a freestanding right to independent living that includes a right to inclusive education. Implement the appeals process under the Care Act 2014. Bring into force Section 1 of the Equality Act 2010 to introduce a socio-economic duty on public sector bodies. 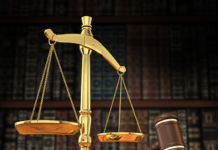 Reverse the changes to legal aid that have restricted eligibility for Disabled people. Remove UK reservations and interpretative declaration on Articles 18 and 24 of the United Nations Convention on the Rights of Persons with Disabilities. Amend the Mental Capacity Act 2005 to give better rights to Disabled people and their families so that best interest decisions take account of people’s human rights. People with learning disabilities and autism to be removed from the Mental Health Act.